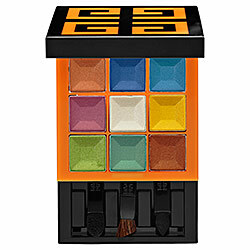 The Givenchy Le Prismissime 9-Colors Eyeshadow Palette. For $62 you can house this gorge palette in your makeup collection. All of your friends will be envious. Or they will think that it is ridic that you spent $62 on a shadow palette. Just remind them that it is limited-edition Givenchy.